There is good news for the Scottish potato industry following the release of a set of survey results. The 2014 growing season is the fourth consecutive one with no sign of plants infected with Dickeya. This bacterial disease causes blackleg-like symptoms but is much more serious in terms of its effect on crop quality. It is common now in the Netherlands and appears from time to time in England, mostly on seed of Dutch origin. Scottish growers had a scare in 2009 and again in 2010 when infection was found in a small number of ware crops, all of which were produced from certified seed of non-Scottish origin. Since then Science and Advice for Scottish Agriculture (SASA) – the body charged with monitoring and regulating plant health – has carried out extensive annual testing. 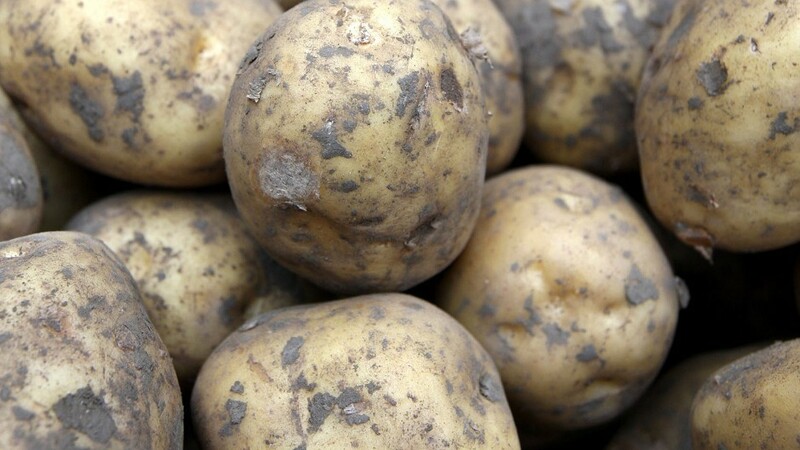 In total 650 samples were tested this year from field-grown potatoes showing signs of blackleg type infection. Fortunately the pathogen was not detected in any of these samples. SASA head of potato and plant health Professor Gerry Saddler said: “With the support of industry, which continues to make informed choices particularly with regards to the origin of their seed, and thanks to the introduction of strict legislation in 2010, Scotland maintains its freedom from this pathogen. The 2014 survey was carried out in support of Scottish legislation which established a “nil” tolerance for Dickeya infections in seed crops. It is designed to target crops which hold the greatest risk of carrying or contracting the disease and includes all seed and ware crops produced from non-Scottish origin seed. There was a reduced level of non-Scottish origin crops grown in 2014 according to SASA. In all there were 58 seed crops from Northern Ireland comprising 53 pre-basic seed crops with no blackleg observed at inspection. The remaining five basic seed crops all presented blackleg symptoms and were sampled and tested. In addition, three ware crops grown from Northern Irish seed and five out of six crops originating from England and Wales exhibiting blackleg symptoms were sampled and tested. Also targeted were a large group of crops deemed to be at higher risk including potential close contact stocks. These were seed and ware stocks taken from farms which had a Dickeya infected crop in 2009-10 and seed and ware crops grown in the vicinity of watercourses known to be infested or previously infested with Dickeya bacteria. One of the problems of controlling Dickeya, as Dutch growers have found to their cost is that the bacteria can survive in water courses for some time especially if they colonise certain aquatic plants known to be alternative hosts. Representative samples of Scottish-origin seed crops were also included, comprising roughly 10% of all seed crops showing blackleg symptoms during inspection. A small number of ware crops were also included in this category but no samples tested positive for Dickeya.